Dr. MC Gupta, an AIIMS doctor turned lawyer offers medico-legal advice as to whether an Indian doctor with an MD in General Medicine could legally practice as a specialist or do basic surgeries. Function as a cardiologist, nephrologist, neurologist, endocrinologist etc. depending upon his training and experience? Do basic surgery, dermatology, obstetrics, psychiatry etc. because he is an MBBS? An MD (Medicine) studies cardiology, nephrology, neurology, endocrinology, and other specialities in sufficient detail to enable him to diagnose and treat routine symptoms pertaining to such disciplines. Otherwise, there is no point in posting an MD student to such departments and examining him in theory as well as practical in these specialities. A Physician shall not claim to be specialist unless he has a special qualification in that branch. Note: The above Regulation does not state that such 'special qualification' must be recognised by the MCI. It can be argued that people having a degree in MD (Medicine) recognised by the MCI and having a degree/diploma in cardiology, dermatology, obstetrics, psychiatry etc. that are not so recognised can claim to be a specialist, provided they do not violate Regulation 1.4.2. Physicians shall display as suffix to their names only recognised medical degrees or such certificates/diplomas and memberships/honours which confer professional knowledge or recognises any exemplary qualification/achievements. It can certainly be argued that the qualifications conferred by say the College of Physicians and Surgeons, Bombay/University of Seychelles fall in the category of “such certificates/diplomas and memberships/honours which confer professional knowledge. As alleged by the complainant that since Respondent No.1 was only a general physician, he was not competent to treat the patient in CCU and the patient should have been put under the care of a cardiologist. Respondent No.1 in this written statement stated that he is a specialist holding a degree of M.D. (Medicine) from University of Delhi and claims to have gained adequate experience in the field of cardiology over the years and by virtue of these he claims himself to be a cardiologist. The Council is of the opinion that being a holder of postgraduate qualification of MD (Medicine) and with requisite experience, Respondent No.1 was qualified to handle such a case, however, it would have been prudent to consult a super-specialist (DM in Cardiology) when ECG changes were noted, more so since services of DM (Cardiology) and other paraphernalia ware available at Kukreja Hospital & Heart Centre as claimed by Respondent No.2. The government of India has, under the National Health Mission, started a National Dialysis Program in district hospitals. As per Appendix K of the document released by NHM, it is recommended to have the following minimum standards and staffing pattern for a Dialysis unit. Medical Officers (on duty)- One doctor (MBBS) per shift for a maximum of 10 machines. An MD should practice only his own speciality and should not indulge in general practice (such as practising basic surgery, dermatology, obstetrics, psychiatry etc. to the extent he has been taught and trained in these areas during his MBBS studies). An MD, while continuing to practice only his own speciality, cannot simultaneously indulge in general practice (such as practising basic surgery, dermatology, obstetrics, psychiatry to the extent he has been taught and trained in these areas during his MBBS studies). It can be argued that there does not appear anything in law to prevent a person with MD (Medicine) from practising cardiology if he has a qualification in cardiology, even though not recognised by the MCI (Ref: Regulation 7.20). It wants to allow non-MBBS persons from AYUSH stream to practice modern medicine. It has allowed MBBS graduates to perform dialysis. It has equated a nephrologist with an MD (Medicine) having one-year training in dialysis. It routinely allows MBBS graduates to perform post-mortem which is best done by an MD in FMT. It never takes any action against MBBS doctors practising pathology (by way of running pathlabs). A person without a qualification in radiology is permitted to perform ultrasound examination under the PNDT Act. *More details on this case could be found on the Delhi Medical Council website. **More details can be viewed on the National Health Mission website. 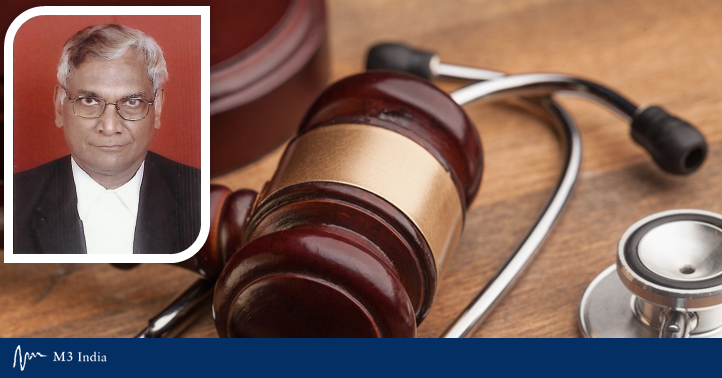 The writer, Dr. MC Gupta is a practising lawyer specialising in medical negligence cases. He also has an MD Medicine from AIIMS, Delhi where he also worked as a faculty member for 18 years, later working another 10 years as a Professor and Dean at National Institute of Health and Family Welfare, New Delhi, before pursuing law.